Lego has toppled Ferrari from the top spot as the world's most powerful brand, says a new study. The annual study by consultancy Brand Finance tracks brands on such measures as their familiarity, loyalty, promotion, staff satisfaction and corporate reputation. 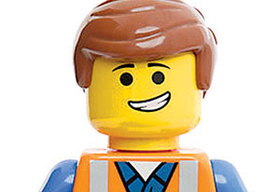 Lego, the consultancy says, got a boost this past year from The Lego Movie. Behind No. 1 Lego were No. 2 PwC and No. 3 Red Bull. Ferrari, whose racing fortunes have faded, tumbled to No. 10, the only automotive brand to crack the top 10. No automotive brand made the top 10 of the consultancy's separate list of the most valuable brands globally, which had the reportedly aspiring carmaker Apple repeating as No. 1. Toyota was at No. 13, and BMW finished at No. 15, first among European brands.